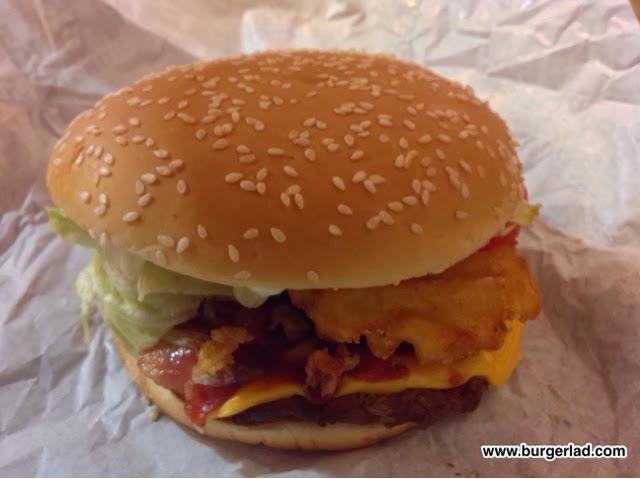 Burger King Smokey Mountain Whopper - Burger Price, Review & Calories! Welcome… to the latest Burger Lad® 21st century burger adventure. 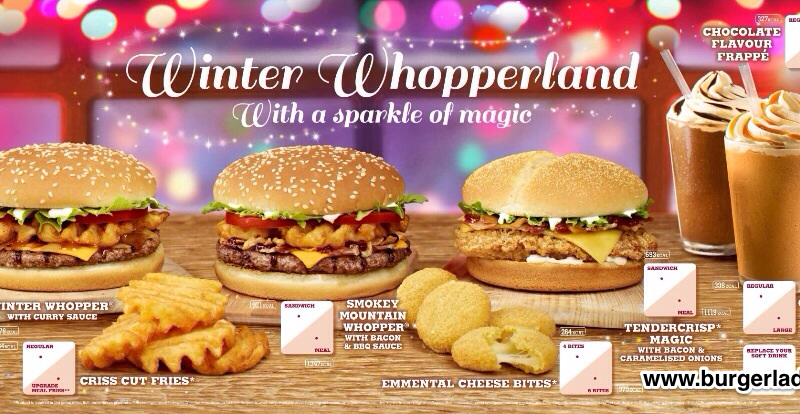 We reported a while back that Burger King would be releasing their Christmas promotional items on Wednesday 27th November. After some cloak and dagger antics I was informed this was to be moved to today and here we are to check out one of the latest limited time offers from the King and Co.
BK was very quiet when we arrived but as usual there was quite a wait to get served and receive our food as each burger is made-up from scratch here (OK each burger is re-heated and assembled by someone here). I placed my order for the “whopping” great 921 calorie mountain of a burger and actually smirked when I was asked if I wanted to make that a double. 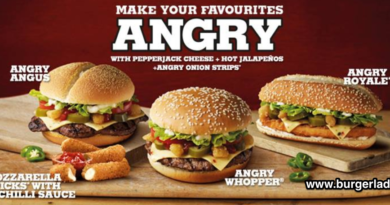 “Better not” I scoffed because in my next breath I was asking for the Winter Whopper as well. This really was another “Two for Tuesday” supper after the KFC Double Down last week. Off I went with my tray of food and the Burger Lad branded “bPad” to capture this special occasion. If I had only remembered my sunglasses we might just of had another episode of Burger Lad TV but alas it was not meant to be. 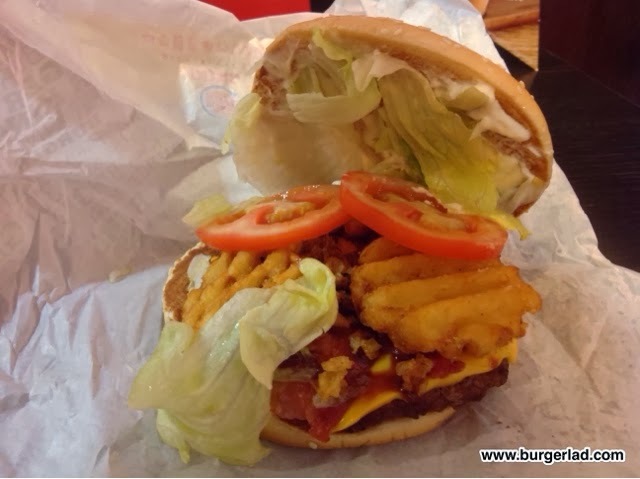 With that let’s take a closer look at the Smokey Mountain Whopper with Bacon and BBQ Sauce. A well put together, big burger. Could you do the double…? As you can see from the pictures this had been put together really well and looked a favourable size. 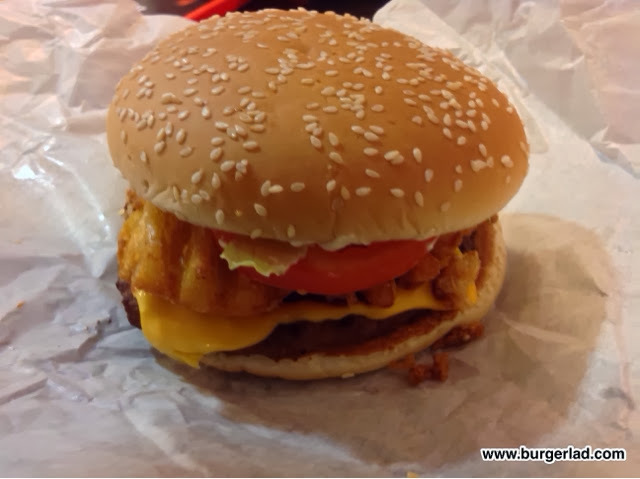 My first bite got that BK-branded flame-grilled taste and this was immediately complimented by those delightful crispy onions. We’ve seen these before on the Steakhouse range and are fast becoming my favourite High Street burger topping. There was the right amount of lettuce on-board this latest BK offering (I took the two large tomato slices off – as if you didn’t know I don’t really like these much). The lettuce itself was fresh, thick and crunchy and held its own with everything else because there’s quite a party going on with the Smokey Mountain and everyone is invited. 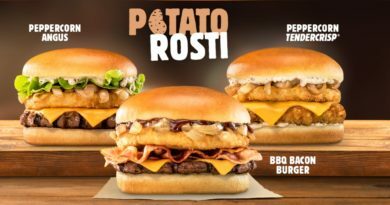 The biggest surprise to me was the addition of three Criss Cut Fries which worked but probably not as much as on the Curry Whopper. The bacon was marginally distinguishable but melded nicely with the cheese – adding up all these ingredients you can see why it weighs in at just under 1,000 calories. I’ll say that again… just under 1,000 calories! 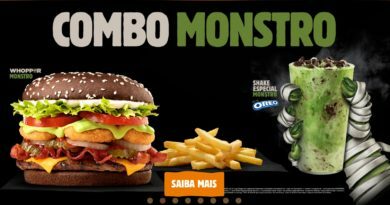 The mayo was unobtrusive and I finally realised why it is present on literally EVERY single McDonald’s or Burger King burger – it’s because of the overall dryness of the buns and patties so this gives it the moisture required to keep you shovelling it down and down…and down. this made for a crunchy Christmas cracker and made the way-too early Xmas music playing almost bearable. 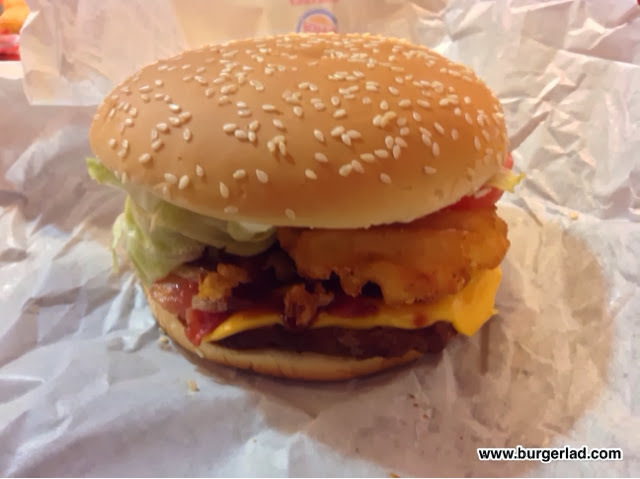 With that let us take one last look at the Smokey Mountain Whopper with Bacon and BBQ Sauce from Burger King. I would recommend this in a shot but due to the mountain of calories on this I won’t be re-visiting this one in a hurry! Hurry!? Did someone say curry?